She is wanting the shifters to be closer to the bars. Can someone help with what the parts that I would need to do this? Maybe a list of items or links to ebay or items for sale on here. You could try clamp-on shifters. Stem shifters would get them level with the bars. Then there’s bar-end or even STI options. What type of handlebar does it have? What type of shifter does she want? I would pick whichever friction shifters I liked, and then worry about replacing the existing shifters with a cable stop. 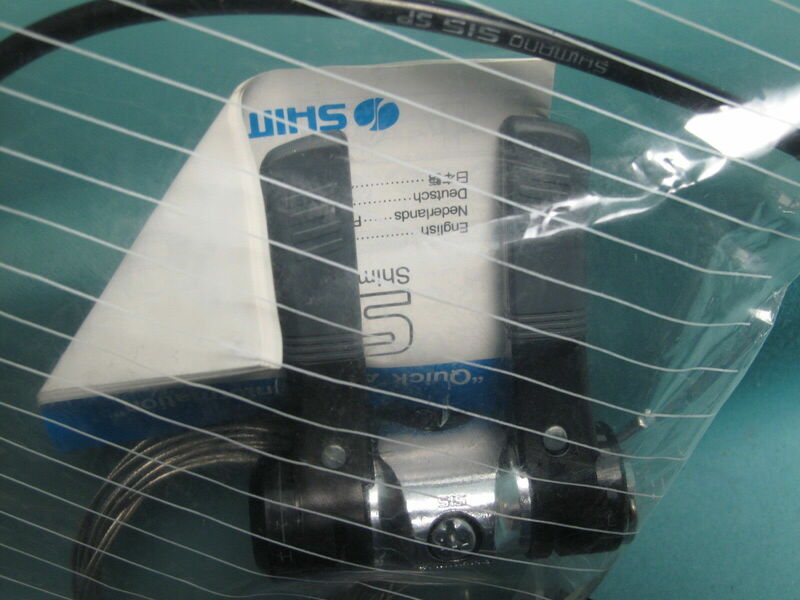 Possibilities include stem shifters or bar-end shifters if you want drop handlebars, or MTB-style thumbshifters or stem shifters if you want a more upright handlebar. You just happen to have the most difficult shifters to replace... that Suntour aero shifter mount throws a monkey wrench into the works... there were actually cablestops made to work with those mounts, but they’re RARE. You can fabricate something fancy- but that’s an awful lot of work. Im assuming you’re going with upright bars- so personally, I like the idea of thumb shifters- your hands can still control the bars as you’re shifting. I think what I’d want to do is score a set of the Suntour ratcheting thumb shifters and a clamp on cable stop and use the aero braze on as the clamp stop. Like GoldenBoy said above, the shifter boss under those Suntour Symmetric shifters has unique dimensions and unique thread pitch, so they're not easy to replace elegantly. The cablestop that he mentions is indeed exceedingly rare. Also, if you have drop handlebars, you hopefully have a bike co-op near you, and you could pick up a set of used stem-mounted shifters cheaply. 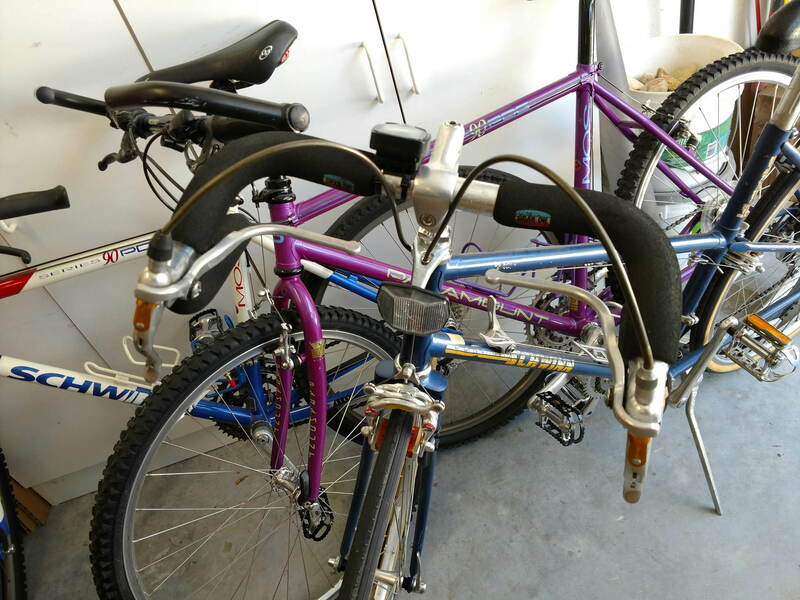 If you have a Bike COOP in your area they probably have exactly what you need and it will be cheap. Thank you very much for all the reply's. Sorry I did not describe or picture the handlebars. They are dropdown, picture attached. Get her a nicer cockpit while you're at it. No comments yet about the Series 90 Paramounts? How often does she get into the drops? If rarely, I would consider a flat bar conversion having the brake levers and shifters on the bar adding a clamp of cable stop to the down tube. Is this a 6 or 7 speed rear cog? Just use a standard, downtube cable clamp. Position it just above the existing braze-on lever muont, so as to use the mount to prevent the clamp from sliding down the tube with use. Not particularly elegant, but fully functional. @redmanf1, this thread may provide a more elegant solution, Interest in CNC machined aero mount cable stops?. I found these and I think they would fit ok. I think the index set (1) would be nice if they will work with her bike. If not how about number 2? Guess I would need to change the cassette and derailleur to index and leave the main friction??? Last edited by redmanf1; 04-17-19 at 11:01 AM. I agree with stem shifters. I also like bar cons. DT shifters always seemed awkward. I wouldn’t do either of those unless you wanted to convert to indexed shifting. That gives you the ratcheting Power shifters to mount at the stem- and a cable stop. I’m not associated with either of those eBay sellers or auctions. Just the first ones that showed up like I was looking for. +1 on the Suntour Power shifters on the stem. A custom adapter stop for the aero DT shifter braze-on would be nice, and the cleanest looking, but it's a perhaps a bit extravagant for this level of bike. 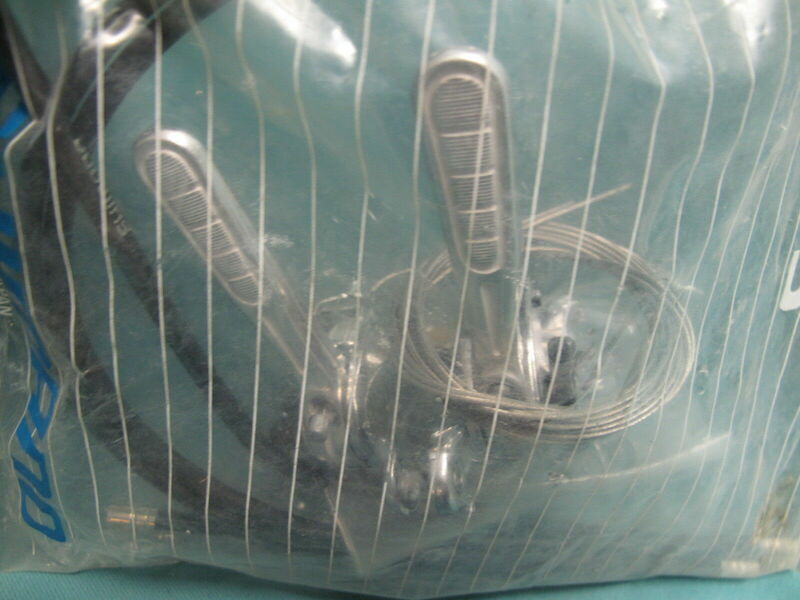 A simple suntour or similar band clamp type cable stop will suffice. The braze on will function as a stop to keep it from sliding down. 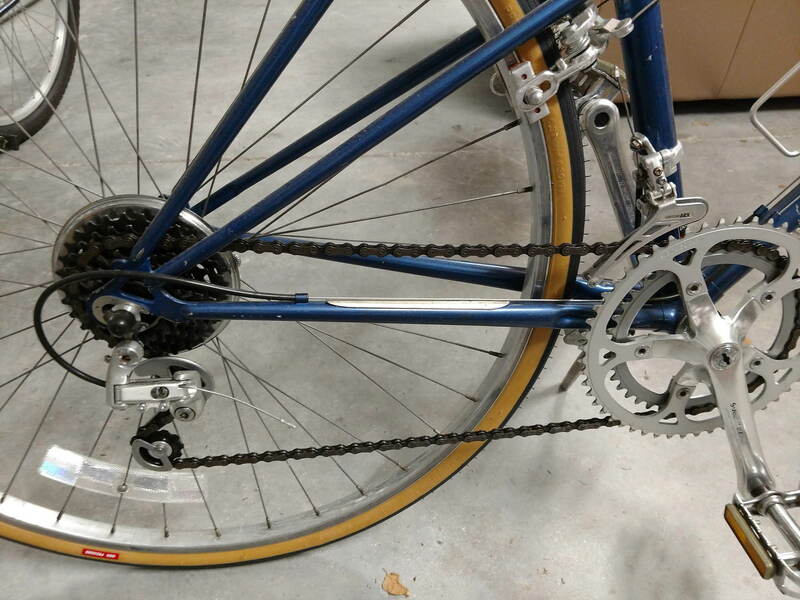 Indexing won't work on drivetrains of that era, at least not without replacing everything. 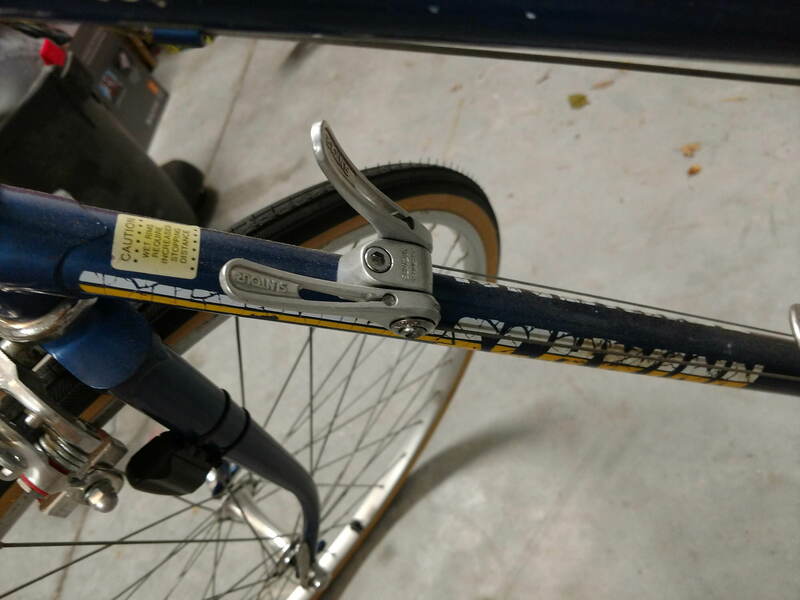 I'm not exactly sure if these are stem shifters or not- the ad says "aero top mount" but it's a clamp that goes around something- I'm pretty sure these be stem shifters. And they're $13 shipped. Again, I've got nothing to do with the seller or auction. Dont lose the Allen screw that holds the shifter to the frame. they are next to impossible to find, some unusual thread pitch as I recall. +1 on the suntour power shifters. You said she only rides the upper part of the bars. As another poster suggested you can try some flatter bars. I think she might find that very comfortable. I put Soma Sparrow bars on my daughter's mixte. I am currently taking off her front derailleur so she just uses one friction thumb shifter for the rear. I have an 85 letour lux with the same shifter. I took them off and put shamano 600 down tube clamp on shifters butted up against the braze on stud. Will put a chrome screw in the stud to dress it up a bit.